Hailing from Stoke-on-Trent, WHITE DOOR formed from the ashes of prog rock combo GRACE. 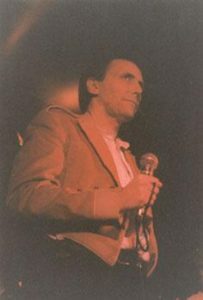 Led by the sensitive vocal presence of Mac Austin, he was ably backed by the Davies brothers Harry and John on synths. Coinciding with the sinewave of Synth Britannia, the trio began to gain artistic momentum and signed to Clay Records, the independent that had put out GRACE’s swansong live album. WHITE DOOR released one critically acclaimed album ‘Windows’ in 1983, produced by Andy Richards who was later to find fame and fortune working with the likes of FRANKIE GOES TO HOLLYWOOD, GEORGE MICHAEL, PROPAGANDA, GRACE JONES and OMD. Despite press support and national radio airplay, being signed to an indie label with limited financial resources meant that any initial promotional momentum was unable to be sustained. The record also proved to be difficult to find in the shops. 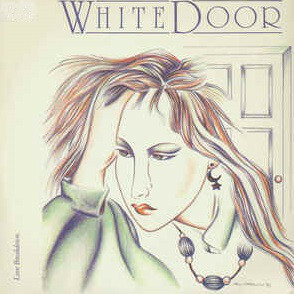 In a competitive market, WHITE DOOR thus suffered the same fate as other new acts of the period such as THE MOOD, FIAT LUX, B-MOVIE and FATAL CHARM, reaching only a limited audience despite the quality of their music. Although sounding of its time, with songs such as ‘Love Breakdown’, ‘Jerusalem’ and ‘School Days’, ‘Windows’ still stands up as a long player, so much so that in 2015, Swedish synthesist Johan Baeckström covered the latter two tracks as B-sides to his solo single releases. Baeckström went one step further when he and DAILY PLANET bandmate Jarmo Olilia invited Mac Austin to provide lead vocals on ‘Heaven Opened’, a tune from their new album ‘Play Rewind Repeat’. 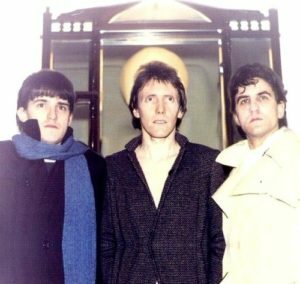 With renewed interest in WHITE DOOR, Mac Austin kindly chatted to The Electricity Club about the band’s brief flirtation with the pop charts and more. 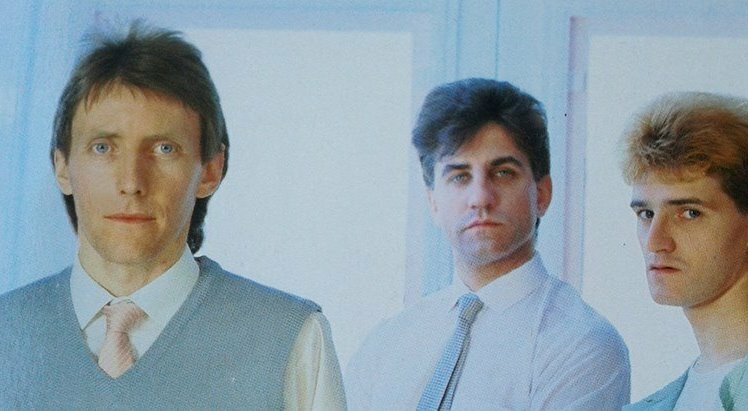 GRACE were a prog rock band before things mutated into WHITE DOOR becoming a synth based ‘New Romantic’ act? What led to you heading in this direction? Myself and Harry studied Graphics at Art College together where we formed a band called JIM CROW and spent most of our time learning to play our instruments and how to write songs until we finally finished college and all went our own ways. We then went on to form a second band called GRACE with some of our musical friends. GRACE was a massive leap up from our first band and was after a few years of playing the circuits signed by MCA Records and released a debut album ‘Grace’. The band was put in the prog rock or folk rock categories, I think because our songs were long and like GENESIS while like JETHRO TULL we had a flute player. GRACE played live constantly, did some TV with TOYAH and released a live album which was very well received but the band was caught in the massive punk movement which was sweeping the country at the time. The record companies signed bands with little ability but loads of attitude and ditched the old school bands like GRACE etc who were out of fashion and a lot more expensive to produce and record. We were all frustrated with the lack of support and PR from MCA and they said only punk was selling now so GRACE folded. We had been listening to some of the new electronic bands which were coming through from the introduction of new synths and drum machines been invented by Roland etc. John, Harry’s brother had a synth and so we got together and started to write songs with this new sound. Were there any acts that were specifically influencing WHITE DOOR? I particularly liked OMD, TALK TALK, JAPAN, TEARS FOR FEARS, PROPAGANDA, JOHN FOXX and CHINA CRISIS. These were the influences on WHITE DOOR plus we still loved the big melodic sounds coming from GENESIS, YES, ELP, JETHRO TULL etc. these bands, I feel WHITE DOOR produced songs with good melodies which could be reproduced on an acoustic guitar and still be a good song. Of course, when you listen to say OMD, JAPAN, ULTRAVOX, THOMAS DOLBY or TEARS FOR FEARS, there is a link to prog aesthetics don’t you think? Absolutely, there is the dressing up, dramatic chorus, keyboard heavy sound and showmanship that was a big part of prog. It was a progression from prog rock and glam rock. Holly Johnson from FRANKIE GOES TO HOLLYWOOD said the best live concert he ever saw was GENESIS’ ‘The Lamb Lies Down On Broadway’, I think there was a big influence on the New Romantics from the progressive bands, though some may say there wasn’t. 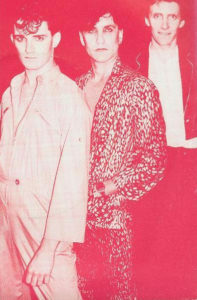 Bands from the New Romantic movement became closely associated with the use of synthesizers to create rock and pop music. 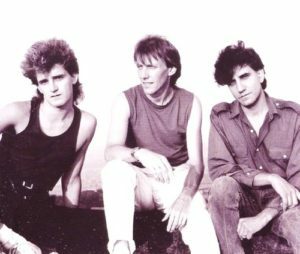 This synthpop was prefigured in the 1960s and 1970s by the use of synthesizers in progressive rock, electronic art rock, Roxy, Bowie etc. Did of you ever get into Ian Anderson of JETHRO TULL’s synth heavy ‘Walk Into Light’ album? JETHRO TULL was a massive influence on us all from the GRACE days, we all saw the live ‘Aqualung’ tour and were amazed. Harry was a particular fan with playing the flute so his writing, playing etc always leaned to a ‘Tull‘ feel. ‘Walk Into Light’ was as you say a very heavy synth sounding album and strong instrumentally, though I don’t think it was his best lyrically, I think he had been influenced by the new synth bands around at the time. Still a very album good though. You had the benefit of Andy Richards producing and Julian Mendelsohn engineering ‘Windows’ which does explain the high quality of the production. How did this come about because both became quite ubiquitous not long after they worked with WHITE DOOR? Memories differ on how Andy became to be involved in the project. He was a friend of the band having been playing in bands at the same venues as GRACE and living close to us in Stoke. 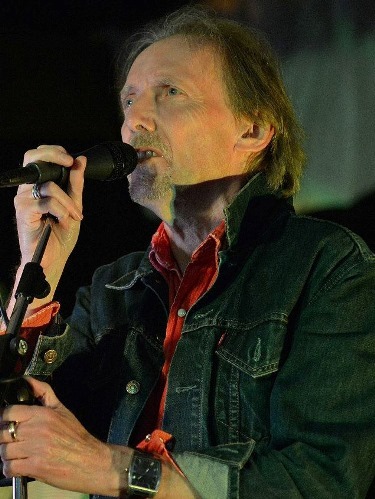 He had played in SAD CAFÉ, a fairly successful Manchester band and THE STRAWBS taking the keyboards where earlier Rick Wakeman and Blue Weaver had sat, quite a responsibility. We would turn up at Andy’s house with very basic demos and spend long days with him on his mini grand piano working out the arrangements and programming. Once the melodies were in place, Andy would add his magic to it. We also did the same with the ‘Flame in Your Heart’ single which was recorded twelve months after the album. ‘Windows’ the album was recorded in Manchester, then Andy insisted we use Sarm studios for mixing and post-production where Julian Mendelsohn, an Australian record producer, audio engineer and mixer who worked with Elton John, Jimmy Page, Bob Marley, INXS, LEVEL 42, Nik Kershaw and Paul McCartney took the album to another level. A good decision for WHITE DOOR and Andy, who after impressing everyone at Sarm with his skills became a regular there, assisting them on FRANKIE GOES TO HOLLYWOOD and many more great artists. Andy, I believe, has been involved with film scores of the last 10 years including a few Tim Burton ones. Julian was the house producer at the great Sarm West so for the next few years after they produced music for big artists from different styles, never really having a genre of their own. The pace that technology was moving at during this time was staggering, so what sort of synths and instruments were WHITE DOOR using? 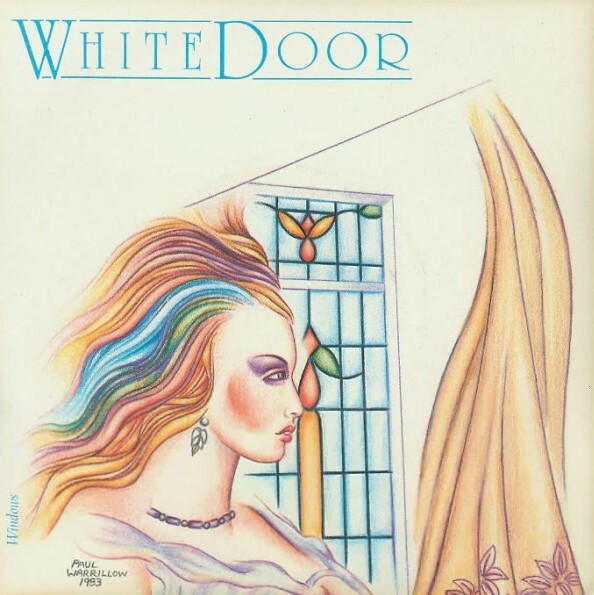 The synth on the WHITE DOOR album was the Jupiter 8… the drum machine was an Oberheim DMX. I don’t know the sequencer, I just know it was analogue. I recall a Fender Rhodes piano on one track. There was Simmons drums and various bits of acoustic percussion like tablas and shakers. Fretless bass of course, alto and tenor sax… flute. I don’t know if there was anything else used at Sarm, but I am sure stuff was added there which I have forgotten. It was state of the art technology then, so we thought it was amazing, but it’s a lot better now I think. The ‘Windows’ single got BBC Radio1 airplay but wasn’t a Top40 hit. How do you look back on how that all played out? 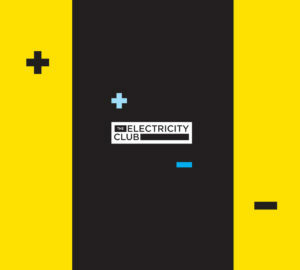 All the singles got some BBC airplay, but ‘Windows’ the single was picked as the Simon Bates show’s ‘Record Of The Week. It was the top BBC Radio 1 show, so it got played every morning at 10am, getting it to 60-something in the UK charts. It was amazing exposure from which we got interviews, magazine write-ups, and fan mail and with a couple more weeks of plugging would we believe have easily made the Top 40. Unfortunately Clay Records had run out of money so could not carry on plugging the single so the airplays stopped. We were told we needed a major label and a couple were very interested and we were about to sign to one major label when it was revealed that Clay had signed us to an American label, Passport Records, for a couple of years, so the deal was off because major labels always want worldwide rights. The beautiful synthpop of ‘Jerusalem’ is almost choir boy like, what inspired that? ‘Jerusalem’ was written after I saw a small film of young Jewish children praying for the return of their sister who was being held in Palestine. Is the subject matter of ‘School Days’ veiled in metaphor? ‘School Days’ was inspired by a classic British book ‘ Goodbye Mr Chips’ by James Hilton, the story of a tutor in private boys school during the years of the First World War. Boys in their black gowns and ties seeing their older friends leaving to go to war and most never returning was a very emotional but true story. ‘Where Do We Go (From Here)’ was quite a frantic and inventive take on synthpop, might that have made a good single? Yes Chi, I agree ‘Where Do We Go’ is a very catchy instant tune and it would have made a good single. I think it would have been the next single after ‘Windows’ if we had carried on. ‘Windows’ only had eight tracks on it, but WHITE DOOR recorded a host of non-album singles and B-sides that seem to explore a variety of styles. ‘New Jealousies’ sounds like SPARKS and ‘Kings Of The Orient’ recalls a more synthy ROXY MUSIC. Did it take a while to settle on a sound or was it your intention to be as diverse as possible? I don’t think it was our intention to be that diverse, it was a bit of finding our sound from all the influences that we were listening too. You did one more single ‘Flame Of My Heart’ with Andy Richards which sounded like BLANCMANGE running into FRANKIE GOES TO HOLLYWOOD. It’s quite mighty but just as WHITE DOOR were finding their stride, you disbanded. Do you have any regrets? Yes, a few regrets but Clay Records closed and we were without a record company with no-one wanting to sign a band who were tied to a contract in America, so could not offer world rights. We thought let’s start again and GRACE was reformed, producing 4 albums in the ‘90s. 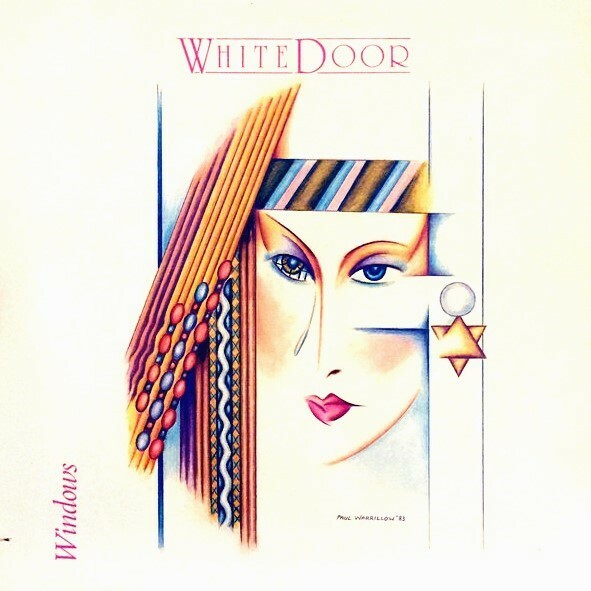 How do you look back on WHITE DOOR now? Is there anything you would have done differently in hindsight? ‘Windows’ has attained cult status over the years and got a CD reissue on Cherry Red in 2009. But when did you first get the impression that the album might have reached a bigger audience than you first thought? The feedback on the album was mostly very, very good so we knew it was a good product, we lacked the investment to promote it the way it needed so we hoped that word of mouth and reviews would get it out there. Maybe if we could have toured the album, it may have gone more mainstream, but unfortunately we did not have the backing for that. I remember being told by some record producer that Andy Warhol’s famous New York club Studio 54 were heavily playing ‘Love Breakdown’ which gave me hope that it may become a cult album and grow to a bigger audience. In the last 10 years, we have had more feedback on the album and WHITE DOOR than ever, obviously the Cherry Red release helped. So what did you think when this Swedish guy Johan Baeckström starting covering your songs? We’ve had quite a few people doing remixes and alternate versions of the songs but when Johan messaged me about covering our song and played the track, it was “wow this is more like White Door than White Door”. 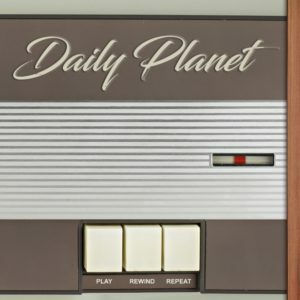 Johan had got this off so well, it brought tears to my eyes… then when I heard Johan and Jarmo’s own material as DAILY PLANET, I realised these guys were real talented people and into the kind of melodies and music we were into with WHITE DOOR. I was so pleased, it re ignited the flame (in my heart). You sang ‘Heaven Opened’ on the new DAILY PLANET album ‘Play Rewind Repeat’, how was it to work with Johan and Jarmo? It was a real honour to be part of this album with these lovely guys and ‘Heaven Opened’ is such a great song, I can’t thank them enough. This is such a great album and everyone I play it to loves it, I have a couple of WHITE DOOR fans who swore it was WHITE DOOR. 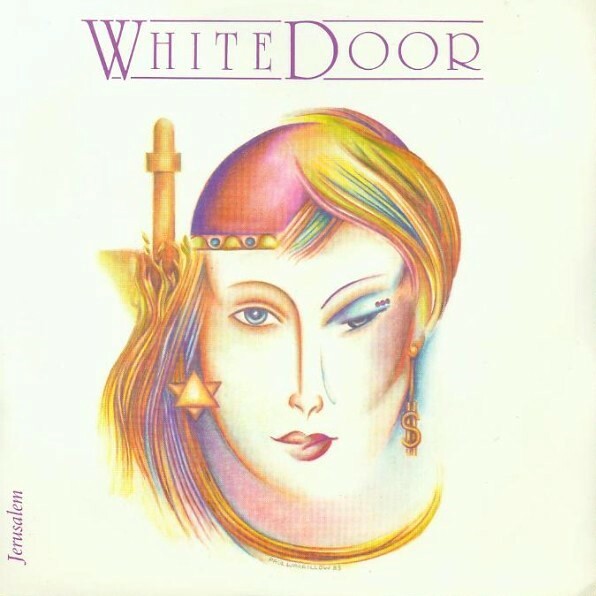 Has there been any renewed interest in WHITE DOOR since ‘Heaven Opened’ appeared on the DAILY PLANET album? Would you ever consider doing anything under that name again? There are people now asking about WHITE DOOR reforming, we are working on new material and with the help of Johan and Jarmo, there will be a White Door product next year. What else have you been up to musically? We are still playing occasional gigs with GRACE, who still have a good following, while also I am also doing some semi-acoustic sessions with Harry, John and Dave Edge (GRACE guitarist) which we really enjoy. The new WHITE DOOR material is sounding great so hopefully that will open up some live shows next year. I’m looking forward to going over to see Johan and Jarmo when we finally finish this project. And what sort of music are you into now? I’m into all music really but I do love melody and good lyrics, from folk to heavy rock… if it has a good tune and lyric, I will listen to it. Peter Gabriel, Bob Dylan, George Harrison, Neil Young, Joni Mitchell, David Bowie, OMD, Paul Simon… these are some of the people that inspired me to be in music.